History is scattered with events in which the deaths of ‘ordinary people’ are overshadowed because someone famous was involved. In an extreme example, the first headlines in US newspapers after the Titanic sank in 1912 focused on the death of millionaire John Jacob Astor and only mentioned as an aside that 1,500 other people had perished. Jacqueline Kennedy was always careful to remember police officer J.D. Tippit, who was shot and killed by Lee Harvey Oswald when he pulled over his car 45 minutes after the assassination of her husband, the President. She compared her grief with that of Tippit’s widow. But the entire media focus was on Mrs Kennedy in her black veil, clutching the hands of their two young children, while Marie Tippit and her three children mourned in private. When there is a plane crash or a tsunami, a forest fire or a massacre, news editors’ first response is to find out whether anyone famous was involved, and history books often follow their lead. I would like to redress the balance in one particular instance by writing about the four devoted servants who died with the Romanovs in July 1918, shot and bayonetted to death in a grimy Ekaterinburg basement. Their names were Dr Eugene Botkin, Anna Demidova, Alexei Trupp and Ivan Kharitinov. Appointed in 1908, Botkin was the most devoted physician any royal family could wish for. He treated Alexei for the complications of haemophilia and was endlessly patient with Alexandra’s countless ailments, both real and imagined. He was married with four children but his devotion to the Romanovs caused the breakdown of his marriage. After the death of two of his sons in the First World War, he became increasingly religious and felt it was his earthly duty to continue to look after his royal charges once they were under house arrest, although he was several times given the option of leaving. He was in the middle of writing a prophetic last letter – “I am dead, but not yet buried” – when Yurovsky, the commander of the guards, knocked on his door at midnight on the 16th of July 1918 and asked that he tell the family to dress and prepare to leave. Botkin stood close to Nicholas in the basement and took bullets to the head, spine and pelvis that killed him more or less straight away. 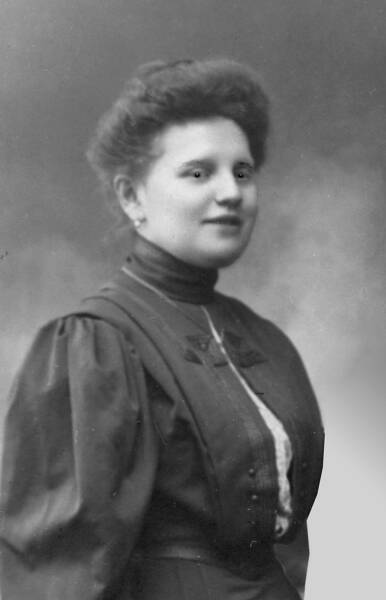 Anna Demidova’s father was a wealthy merchant and she was introduced to the Romanov household in 1905 by a friend who already worked there. She was a tall blonde woman with blue eyes, who had suffered disappointments in love. She got engaged to her friend’s brother while in service, but for one reason or another it didn’t work out. Next she had a crush on the Romanov girls’ English tutor Charles Sydney Gibbes – who was homosexual. She became indispensible to Alexandra during their period of house arrest, looking after her clothes and personal possessions, writing letters for her and doling out her various medicines. When they were ordered down to the basement, Anna was carrying two pillows with metal boxes containing some of the family’s jewels hidden inside. She was hit in the leg during the opening volley of shots and fainted. When she came round and saw Yurovsky and another of the killers, Ermakov, she cried “Thank God! God has saved me!” Ermakov raised his bayonet to slash her and she caught its blade in her hands, gripping on tightly till she was so badly wounded she could hold no more and he finished her off with brutality. Alexei Trupp had served as a colonel in the Russian Army before joining the Romanov household as a footman. He was extremely tall and strong, capable of carrying little haemophiliac Alexei with ease. His devotion to the Romanovs knew no bounds: he requested that he be allowed to follow them to the Ipatiev House, even signing a document in which he consented to be treated as a prisoner of the Ural Soviet. He brought with him Alexei’s spaniel, Joy, the third of the three dogs that joined them in captivity (the others were Tatiana’s French bulldog, Ortipo, and Anastasia’s spaniel Jemmy). When the firing started Trupp was hit first in the leg, before a second bullet in the side of the head killed him outright. Ivan Kharitonov was married, with a young daughter, when the Romanovs were arrested. He brought his wife and child along to Tobolsk, where they spent the winter of 1917-18, but left them behind in April when he accompanied the former royals to Ekaterinburg, presumably with some inkling that it could be dangerous. Food was scarce at the Ipatiev House and they were dependent on charity from outside, but he usually managed to make Alexandra’s habitual meal of macaroni and he taught the grand duchesses how to bake bread. He was struck by several bullets in the first volley of firing on the night of 16th/17th July, and died instantly. Each of them had their own tragic story; two of them left children, who went on to have grandchildren. All four were canonised by the Russian Orthodox Church in the 1990s. All four were heroes. But while the Romanovs’ story is the stuff of legend, few remember their servants’ names today.